Websites are about driving traffic and being seen. 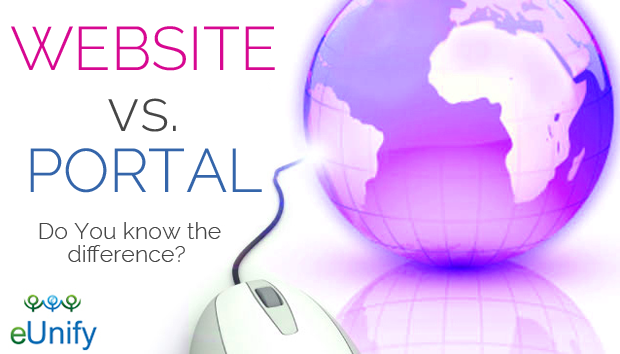 Portals are about limiting traffic to the right group(s) of users and providing services. You need a website to let the potential client associations know about your company and what it has to offer. 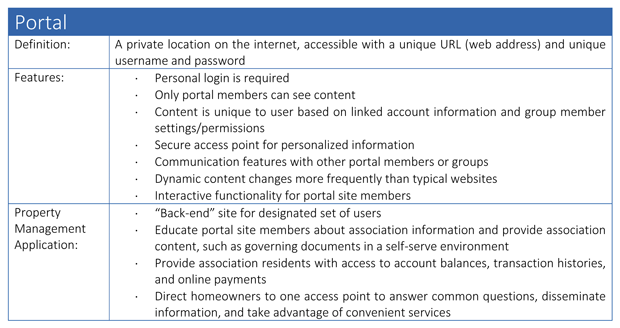 You need resident web portals so that homeowners within current client associations are empowered to do things online that might otherwise require a phone call to your office.